MANKATO, Minn. — Mayo Clinic Health System today announced plans for a $65 million hospital surgical suite expansion in Mankato. Construction is expected to begin later this year. The expansion and modernization project is part of a comprehensive plan to transform the Mankato campus into a major Mayo Clinic regional medical center that is fully integrated with the Mayo Clinic practice in Rochester. The new surgical and procedural suite expansion will take place on the second floor of the Mankato hospital and will include 14 ultramodern operating rooms, a new sterile processing department, 43 private pre- and post-operative patient rooms, an interventional pain medicine procedural room and a new gastrointestinal (GI) endoscopy center. Completion of the surgical suites and GI endoscopy center is expected by late 2018. An additional $5 million investment will include an expansion and renovation of the Mayo Clinic Orthopedic and Sports Medicine Clinic on the first floor of the Mankato hospital campus. 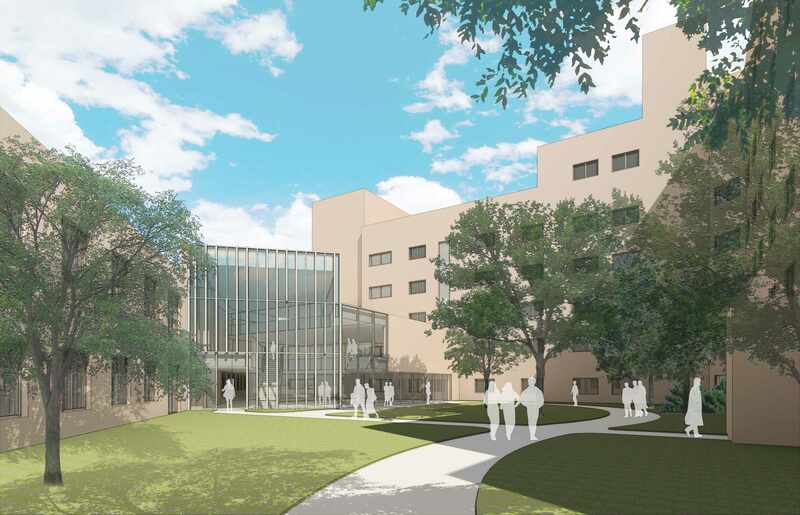 The project will more than double the current footprint of the Mayo Clinic orthopedic practice, increasing the total space to nearly 10,000 square feet. The new space will house up to 20 patient exam rooms, a minor procedure room, a specialized cast room, on-site radiology services devoted to orthopedic patients and an expansive lobby and patient waiting area. The Mayo Clinic Health System in Mankato Department of Orthopedics and Sports Medicine will soon be expanding to six orthopedic surgeons and five physician assistants providing orthopedic trauma care, hip and knee surgery, hand and wrist surgery, foot and ankle surgery, joint replacement and sports medicine expertise.